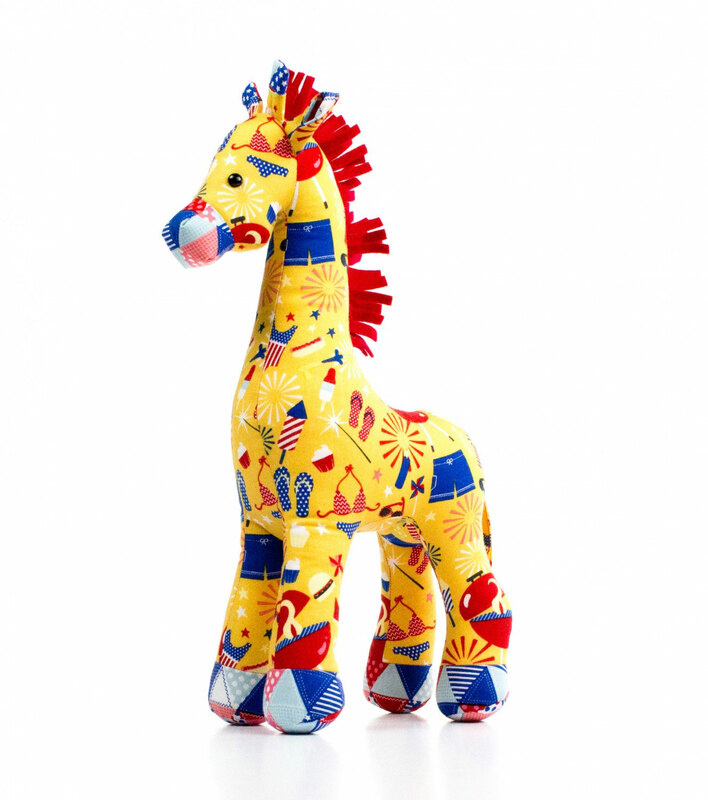 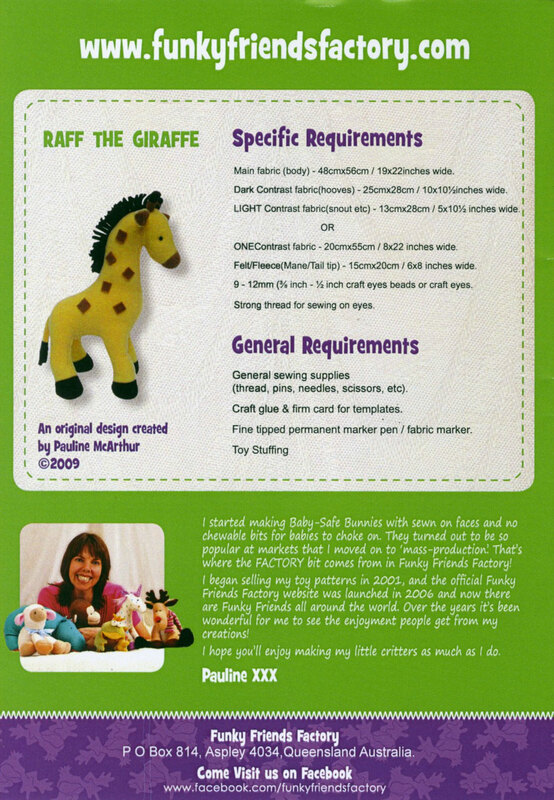 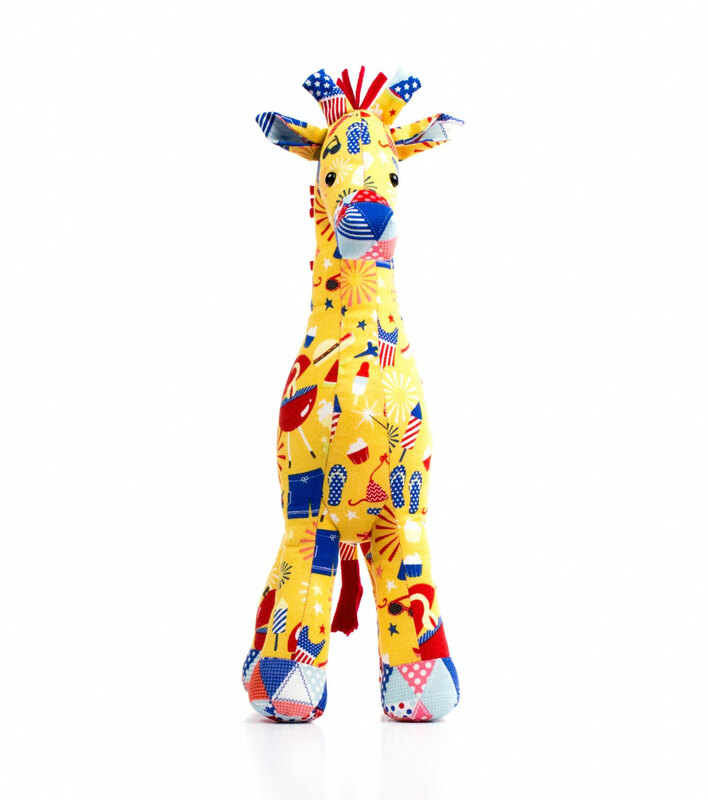 Raff the Giraffe is a simple sewing pattern and will look great in all sorts of colors. 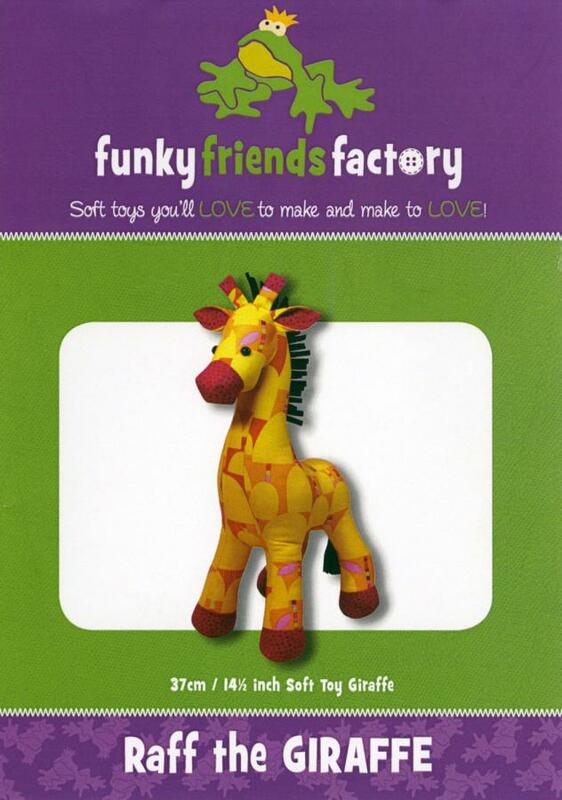 You can use felt for the spots,or you can use up your scraps of light brown fleece! 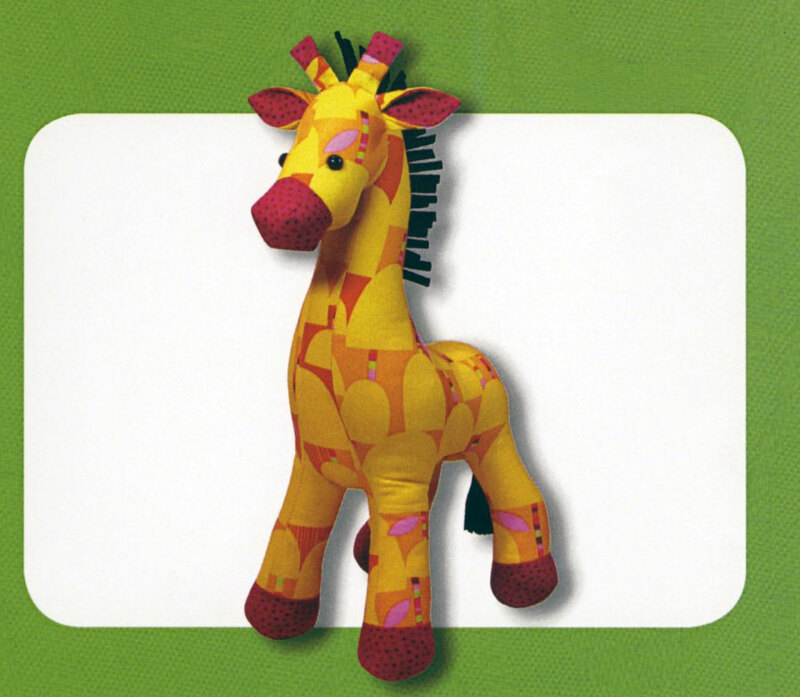 Pauline liked to keep things simple so she used squares for the spots, BUT she has also included some templates for giraffe-shaped spots - based on the spots of a REAL giraffe! Can be made from cotton fabrics, homespun/quilting cottons, as well as stretchy/knit fabrics like fleece, velour, and chenille.